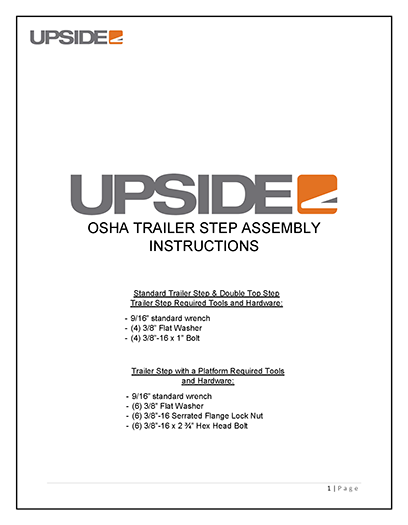 Upside Innovations manufactures OSHA-compliant aluminum trailer steps with aggressive tread for added safety. Our trailer steps are perfect for semi-trailers, job-site trailers, and construction trailers. 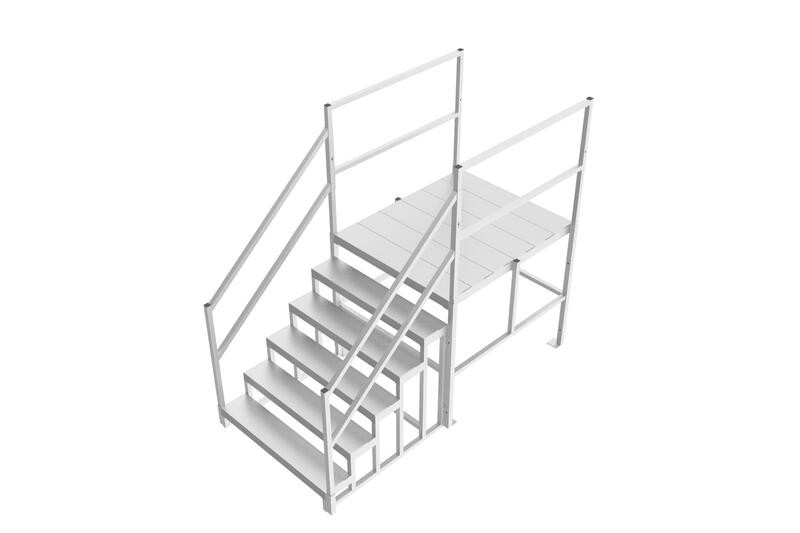 Our trailer steps are 4′ wide which allows for two-way traffic. We use a heavy duty 3″ grip strut channel for maximized shoe traction. The lightweight aluminum construction weighs approximately 100 lbs., so it can be easily moved or lifted into the trailer. 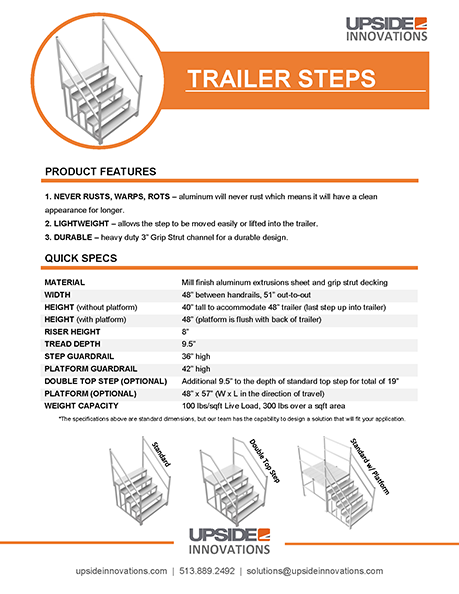 Our aluminum trailer steps will never rust which means they are low-maintenance and have a long product lifecycle. 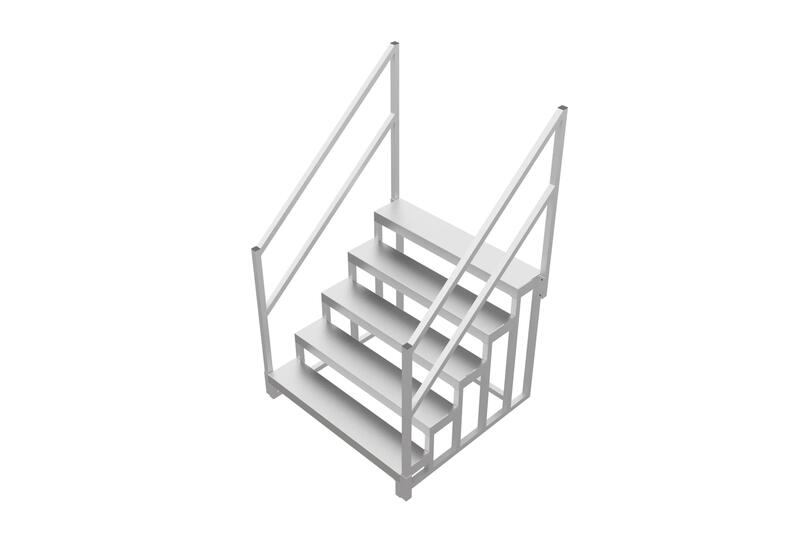 The steps are OSHA-compliant with handrails on both sides for maximized stability. We use a heavy-duty 3″ grip strut channel for maximized shoe traction. Our aluminum trailer steps will never rust which means they are a low-maintenance material and have a long product lifecycle. 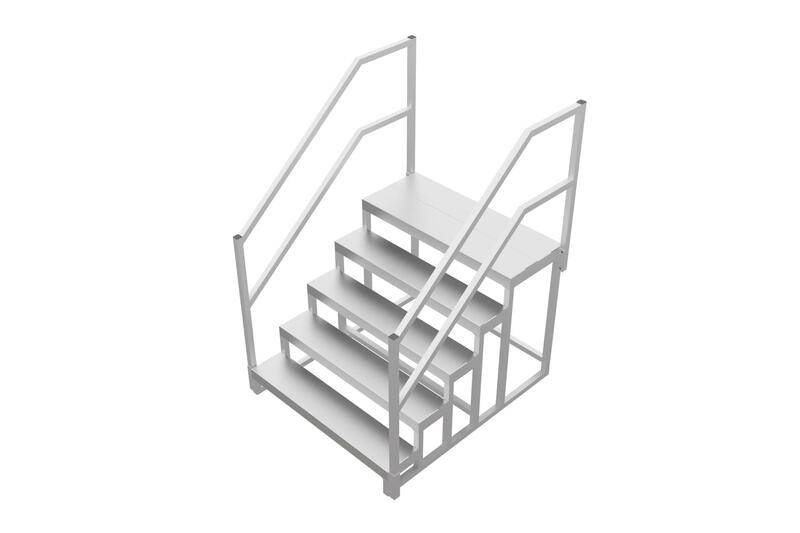 The steps are OSHA-compliant with handrails on both sides for maximum stability. 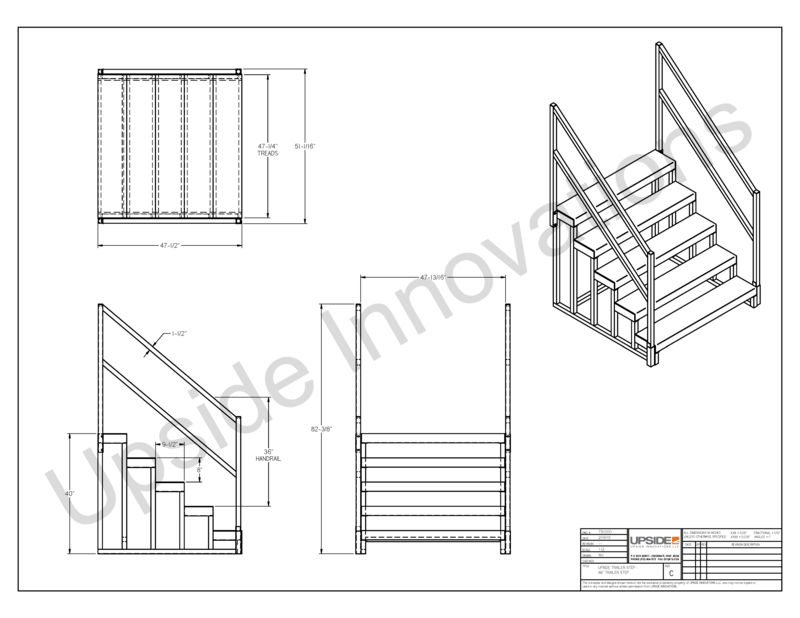 Our team designs, manufactures, and ships durable, aluminum trailer steps. We know how many accidents happen around semi-trailers, and we want you and your fellow employees to be safe while entering and exiting the trailer. We use durable, non-rusting aluminum to hold up to the toughest outdoor conditions.